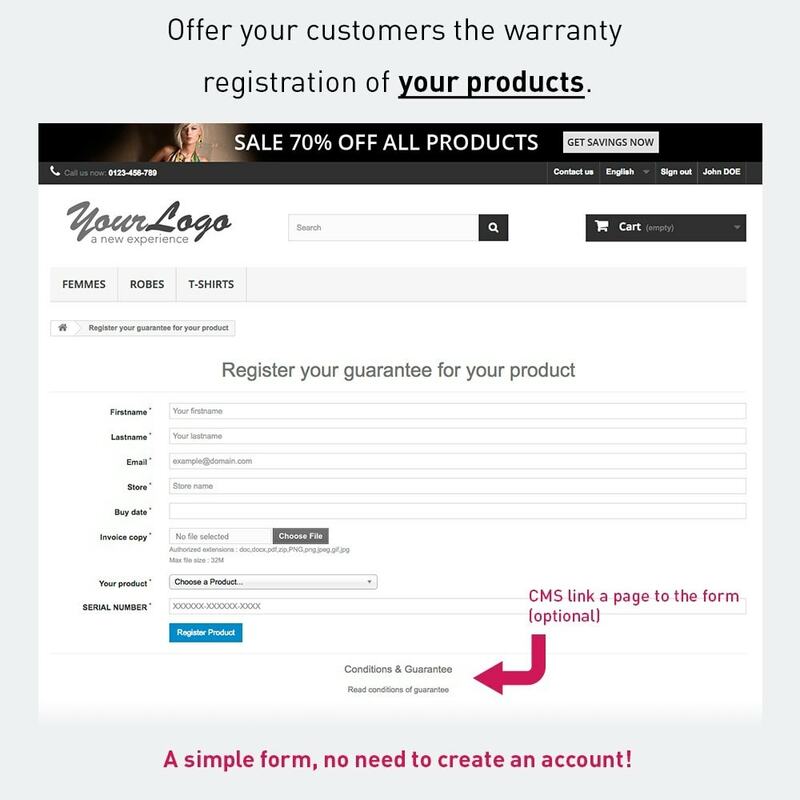 Your customers buy your product online or in store and you want to offer the registering of their warranty on your site. A safe service for the customer to be reassured about the management of the product warranty. However, be that a product contains a unique reference for the recording by the customer. Registration form of warranty in the front office. Clean URL in front for the form. Double warranty validation by the customer to validate the email. 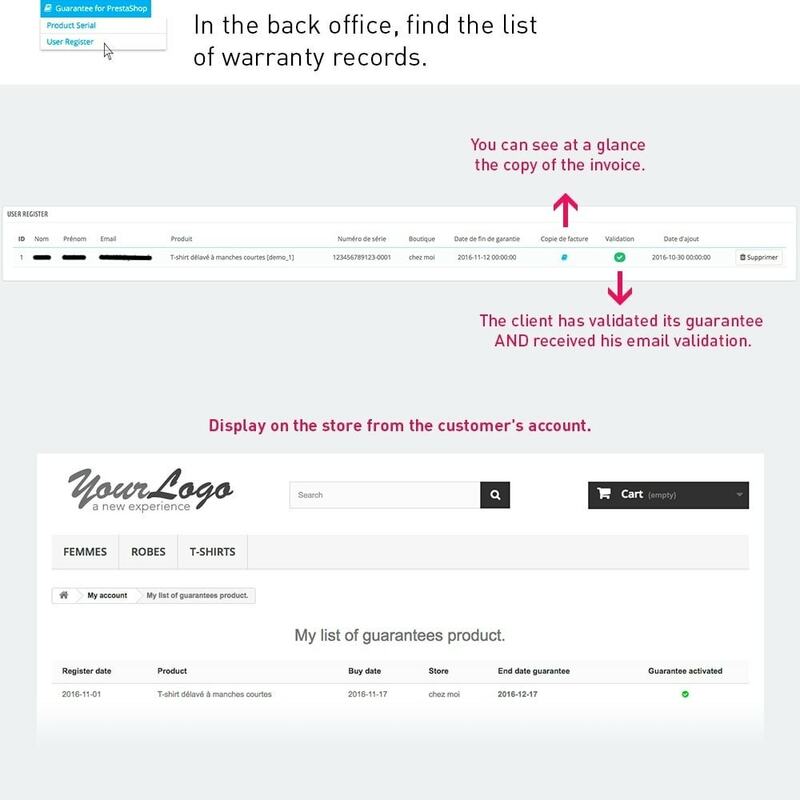 Ability to associate a CMS page with the warranty directly on the form. Ability to unactive serial validation. Ability to add a field for entering the name of the store where the product was purchased. Ability to add a field to send a copy of the invoice. 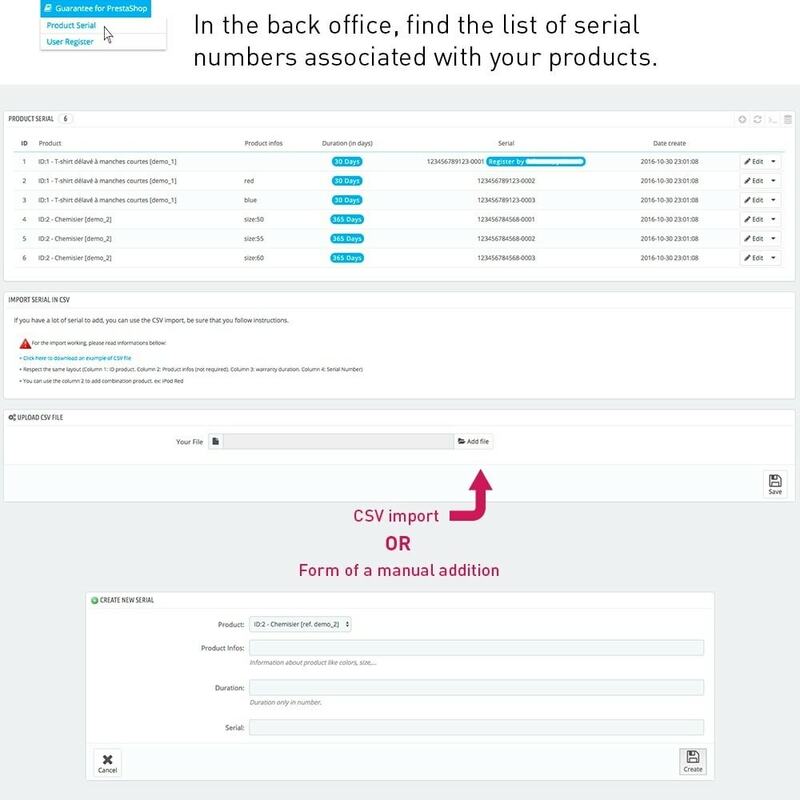 Ability to enter the mask number used to register the product warranty. Ability to restrict the format of the file provided for proof of purchase. User management guaranteed with shopping evidence of the display. Monitoring of guarantees activation state by users. Your customers feel reassured to have registered its warranty with proof of purchase. Where appropriate, the support for the product having a problem will be faster. 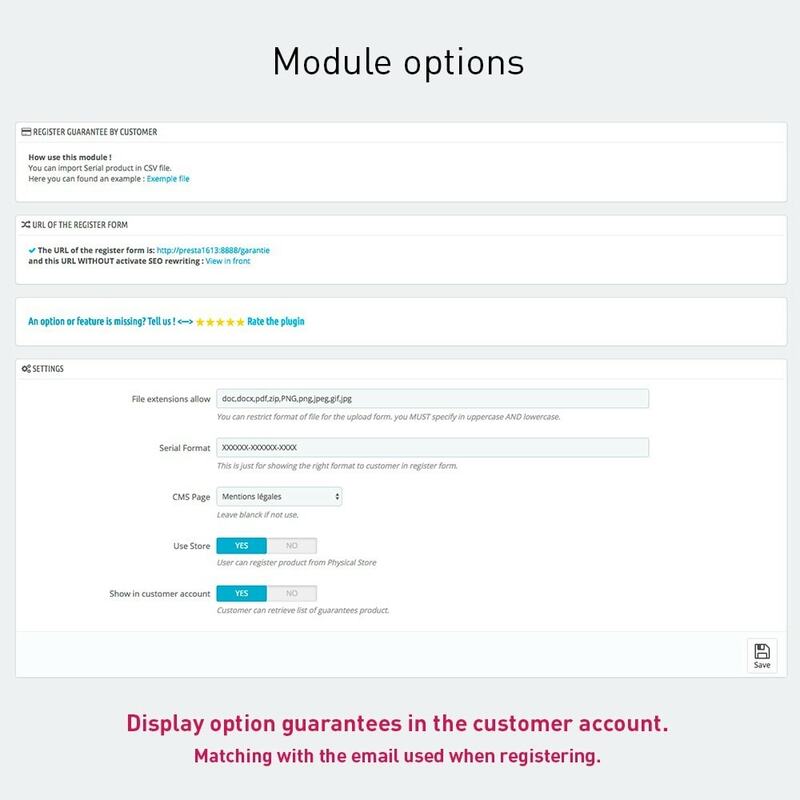 After installing the module, you have to customize the registration form link front office and add it to your menu or another.